kula shakerz 2014-01-02, 01:21 am. 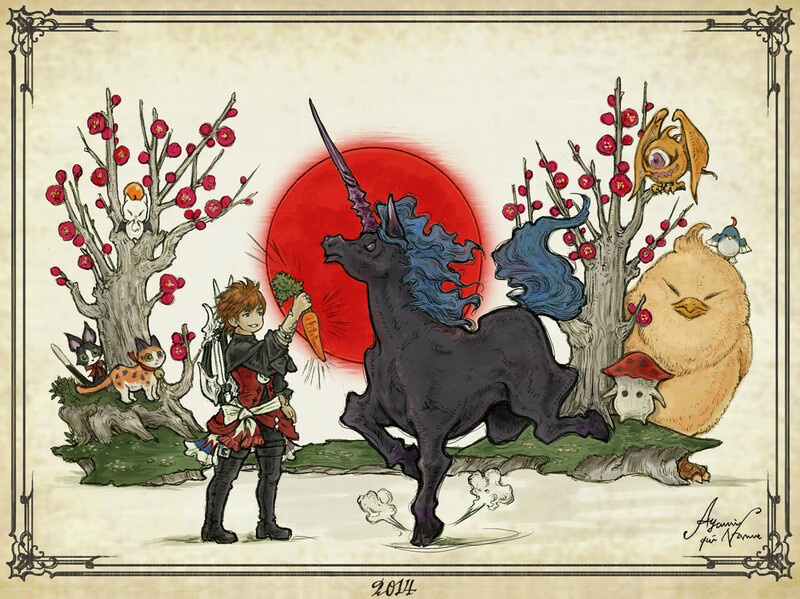 Final Fantasy XIV: A Realm Reborn Producer and Director Naoki Yoshida has posted a new year's greeting where he talks about what's in store for the game in 2014. The first bit of news is that the beta testing of the PlayStation 4 version of the game will start on February the 22nd (same day as the Japanese PS4 launch). Preparations are well underway and PlayStation 4 users around the world will be able to participate in beta testing without having to apply beforehand. The PlayStation 4 version is scheduled to hit the shelves in April and it will support the PlayStation 4 share function and feature PlayStation Vita remote play functionality. The team is also hard at work on the next major version update (2.2). Leviathan is preparing to unleash his fury on Eorzea, new quests, items, and recipes are being added, and the Binding Coil of Bahamut will see additional twists and turns. Read the full post on the official Final Fantasy XIV website. Leviathan as the next primal is surprising. Thought it would be Ramuh. Anyways, can't wait! How is the game compared to FFXI? Can you do more things solo or do you need at least 5 other people to do anything at all? XIV is the opposite rly. Lvling, especially after 2.1 is pretty quick. With duty and party finder it's easy to get a group, and FCs (guilds) are always looking for people. It's a decent community so far. Forming parties is not hard at all, but you can play most of the game by yourself if you like. I remember trying FFXI a few years after it came out and all the low level zones were empty. Good to hear that they have made it possible to play solo in FFXIV.